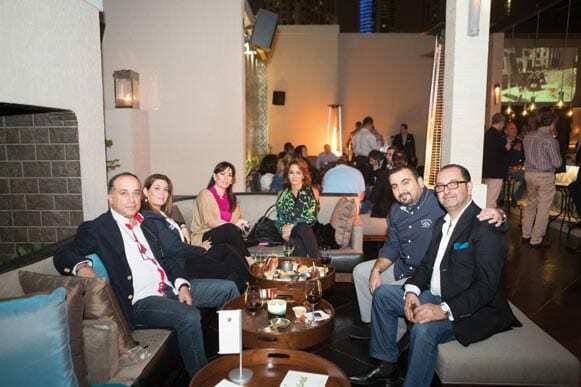 VIRTUOZITY HOSTED AN EVENING of cigars at the trendy, Maya Modern Mexican Kitchen & Lounge at Le Royal Meridien Hotel. The venue was the perfect location to sit back and relax on its outdoor patio and escape the rush of the bustling city life with a selection of cigars. Guests enjoyed sipping on a range of wines and spirits while enjoying the smooth chill-out beats. The restaurant offered a culinary mix of Mexican cuisine from shrimp ceviche, queso fundido and their signature Maya nachos with guacamole and salsa dips, which were thoroughly enjoyed by all. Guests were offered two cigars, a Por Larranaga regional edition (Asia Pacific) and a Bolivar Belicosos Finos. The Por Larranaga Robusto is hand-made in Cuba and was released in 2007. It measures 124 x 20mm and has a shiny, oily natural brown wrapper with small veins. Pre-light, the cigar has notes of spice with hints of sugar detected. Once lit, the first draw is flavourless but soon it has a combination of spice and sweetness. Flavours of caramel, honey and black pepper start to form but change at the second third. The sweetness remains but flavours of cedar start to emerge. The last third becomes quite heavy as the sweetness is overtaken by earth and wood. The second cigar was a handmade Cuban Bolivar Belicosos Finos. A classic torpedo, this cigar is known for its full-bodied mix of flavours and it is known in Cuba as a campana in cigar factories. It has a plump 52 ring gauge with a well-detailed band which is removed easily. The wrapper was a shiny chocolate brown and it had a solid construction. The pre-light draw was nothing special but once lit flavours of wood and roasted spice came through. The second third was thick and creamy with hazelnut while the last third became extremely powerful and strong. To celebrate Virtuozity’s fifth anniversary guests were treated to champagne, the Glen Grant 1992 Cellar Reserve and the Glen Grant 10. The delightful canapés and drinks complemented these cigars perfectly. Al Nabooda Automobiles displayed one of their cars, the Panamera 4s Executive for all to see. After a wonderful evening guests were treated to gift bags from the sponsor of the evening, Porsche Dubai and the partner, Perfume Holding. Ladies walked away with a bottle of La Perla perfume while men were treated to the Ducati Cologne.